The recently open sourced Swift language is a vast improvement over the Obj-C formerly used for iOS apps development. Among its many advantages over Obj-C, Swift is far more approachable for volunteer contributors. So if you have Obj-C / Swift skills, let's hack at Swift-ifying some app Obj-C.
@Mhurd I'm interested in participating to this task. 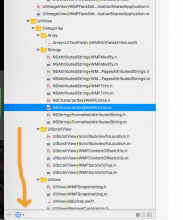 Do you have any suggestions on what file/class to begin with? use cool Swift things like "guard" statements, etc. The project is Swift 3 compatible! I'd create a branch called something like "Swift:NSCharacterSet+WMFExtras"
my next commit would do the conversion ensuring all tests were still passing. 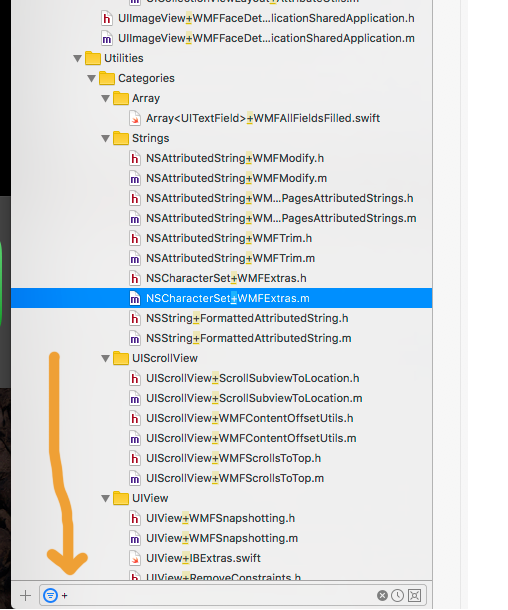 It would also delete the NSCharacterSet+WMFExtras.h and NSCharacterSet+WMFExtras.m files and remove the line added to the bridging header. NSURL categories - there are bridging issues we're still trying to figure out how to best handle. Thanks again for the interest and help!!! It's very much appreciated. Feel free to ping me if you run into any issues or have any further questions. There are sometimes subtle (and not so subtle) user-facing bugs which can crop up with conversions even if unit tests pass, so expect there may be some delay and/or rounds of testing and feedback before proposed conversions are merged. Limiting conversions to less complex category methods, as suggested in the comment above, will help, as will keeping pull requests as atomic as possible, but feel free to ask first before beginning any conversion to confirm it's a good candidate in the first place. I'll be attending the Hackathon, and am interested in learning a lot when I'm there. Regarding setting up the iOS app, the readme.md at here has instructions to get you started. For good resources for learning Swift and legacy Obj-C this site is pretty great! Obj-C's learning curve is unfortunately a bit high (which makes having Swift all the more nice) and some of its subtleties may be tricky to navigate as a beginner, but even if converting Obj-C to Swift ends up being too tricky I'd highly recommend learning Swift and following its (open source!) evolution here. Swift's support for protocol oriented programming in particular is pretty interesting. This video lays out the concepts and this one explores the concepts further.